Even Sen. Rand Paul couldn't get a glimpse at the work in progress. Lawmakers are getting antsy about when they will begin to mark up—or even see the details, for that matter—of a bill that replaces the Affordable Care Act. Zach Hunter, a spokesman for the House Energy and Commerce Committee, said no markup or vote has been scheduled yet. Rep. Chris Collins (R-N.Y.), who serves on the committee, said he expects the bill to roll back Medicaid expansion, but with a three-year delay. Beyond that, he and others are unclear as to what the bill may entail or which legislators were working on it. Both the energy committee and the House Ways and Means Committee have health subcommittees where a bill could originate. Attempts to see the proposals that will be in the replacement bill last week turned into an episode of “Mission: Impossible.” Lawmakers from both sides of the aisle roamed the halls of Capitol Hill trying to get a glimpse of the document that GOP leadership is now considering. House Speaker Paul Ryan reportedly was fearful of leaks to the media and wanted to tightly control access to the bill until it's ready for unveiling. A new draft of the bill did leak to the media March 3. Sen. Rand Paul (R-Ky.) was turned away by an aide when he tried to enter a room where he thought the document was. 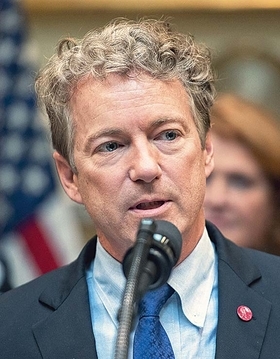 Paul has criticized other recent proposals that he thought retained too much of the ACA and wanted to know if the proposals under consideration would do the same. Rep. Paul Tonko (D-N.Y.), who serves on the energy committee, was also stopped from entering the room. Meanwhile, Ryan has told GOP lawmakers the bill would be drafted March 4-5. Republicans are being pushed to act quickly by President Donald Trump. In a televised address to Congress last week, he outlined principals he wanted to see in the legislation, including an option for Americans to buy their own plans with tax credits and expanded health savings accounts.